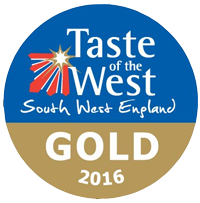 We are members of the Dorset Food & Drink and have been for many years. We love going to the events to show what we can do and we love see what Dorset are up to! Discover the delicious diversity that Dorset has to offer! If you love to explore the county for great things to eat, drink and cook you'll find all you need to know here at Dorset Food & Drink. Here you can find latest food & drink news and events, local food & drink directory, and suggestions for places to visit to enjoy Dorset food and drink. Our members are as diverse as the county itself but all have their roots in their roots in Dorset and a passion for local food. Food & Drink is a member-based organisation with a special trademarked brand overseen by the Dorset Area of Outstanding Natural Beauty team. It represents Dorset's food and drink business community bringing a strong and vibrant sector together under one banner. As well as promoting what Dorset has to offer, it provides excellent networking opportunities for its members and specialist advice on a number of topics, including environmental issues and support to improve your businesses environmental sustainability. Find out more about Dorset Food & Drink here. Want to get involved? Contact them here.